Ten days ago, hundreds of activists shocked Britain by simultaneously shutting down major roads across the UK, most dramatically on the M4 on the way to Heathrow airport. These actions were majorly disruptive; flights were delayed and city centred gridlocked. The organisers, the new UK wing of Black Lives Matter, claimed that the situation was an emergency – and they are right. Overt racism is a fact of life for many people in Britain today, and one which is inextricably linked to political events. In the days following the vote to Leave the EU, hate crime rose by 57 percent. And physical, violent racism is not just something you see in the street – it is in the system. Black people are twice as likely to die in police custody. Since 1990, 1,565 people have been killed by the police; not a single prosecution has been brought. Black people are 3 times more likely to be arrested and 37 times more likely to be stopped and searched. Racism in Britain is the result of centuries of colonialism and scapegoating. Muslims in Britain today face discrimination and surveillance from anti-terror laws and programmes like Prevent; universities, schools and hospitals have But it is also the case that Muslim women are now the most socio-economically disadvantaged people in society. Black people are overall 3 times more likely to be unemployed than white people. Racism goes much deeper than “prejudice”. It is a political problem that requires political solutions. I would like to say that these the situation for black people in Britain would improve automatically with a Labour government, but that simply isn’t true. Yes, Labour has led the way in terms of black representation in parliament and politics in general – and yes, life got better for many under the last Labour government. But on the whole, inequality got worse – to the detriment of black and ethnic minority communities. The Institute for Fiscal Studies found that inequality rose to its highest point in decades and that the incomes of the bottom fifth of society fell. In Britain today, the unemployment rate among black youth is over 50%. What we need is a total overhaul of society’s priorities – a radical government that confronts prejudice x no matter how respectable and embedded it seems, and redistributes wealth and power. That is why, weirdly, I find myself cheering for Jeremy Corbyn – a white man in his sixties. Corbyn’s leadership of Labour has provided me and other black activists with a real source of hope. Requiring companies to conduct pay equality audits, and a significant strengthening of trade union and employment rights, provide ways of addressing discrimination in the workplace. The most important shift, however, is about approach. So often in history, challenging racism means challenging some of the basic assumptions in political life and being willing to wear the badge of “extremist” if doing the right thing is deemed extreme. The anti-apartheid movement in Britain was denounced as sympathising with terrorists; civil liberties campaigners were painted as insufficiently tough on terrorism; and politicians who support the rights of migrants and refugees are portrayed as woolly or out of touch. 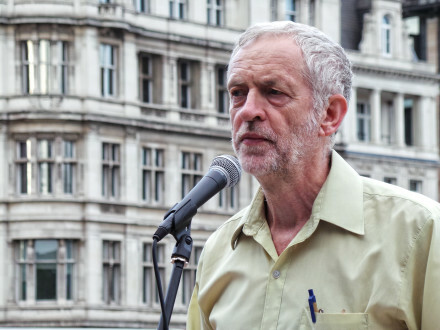 Jeremy Corbyn has backed all of those causes, and been castigated for it, because his approach is about doing the right thing – not doing what is mainstream or acceptable. The same approach is what is behind his radical economic policy – a plan to end austerity and invest £500bn in public services and jobs. Politics as usual is failing black people in Britain. Nothing less than a total overhaul of the system will do.